Out with the cold, in with new (YOU). Longer days and warmer weather usually means one thing for most of us…exercise! Running outdoors has grown massively in recent years and it’s a form of exercise that everyone can do, no matter our age. Memberships for running clubs are on the rise, and it’s no wonder – they provide great support, motivation and practical advice for beginners and experts AND no expensive gym fees! Shoes can be an expensive buy, but believe us, they are essential to your running progress – so spend wisely. It will be worth it. Ensure you buy good quality shoes, a pair that fits properly and is designed for the surface you run on most often and more importantly, the biomechanics of your feet. After all, each person’s feet are completely different to the next. It is also worth remembering that shoes have a limited lifespan and it would be advised to replace them after approximately 500 miles depending on how much the shoes have worn down. It is important to find the right running schedule for you, whether it is in the morning, after work or on the weekends. Consistency is the key. We don’t need to run 3 hours each night in order to see benefits. As little as 20-30 minute runs, 3 times a week can have a significant improvement on your fitness and health. Stick to similar routes so that you can measure your progress easier. This is often the most overlooked part of an exercise plan. However, what we do before and after a run is equally as important as the run itself! To warm-up, simply start with gentle stretches of the legs and back, then move onto a walking or slow jogging pace to get your blood circulating and ease your body into the session. Then, you can up the pace as you feel comfortable. When you have finished your run, DO NOT completely stop. Try walking another 5 minutes to cool down gradually, this will stop your muscles from ceasing up. Then, do similar stretches as your warm-up for your cool down. Dehydration can cause various problems such as tiredness, headaches, reduced coordination, and muscle cramping. Runners need to be aware of how much they drink before, during and after exercise. Water is also good for the recovery of our muscles and aches, so staying hydrated before, during and after will improve your training. Find a pace that is comfortable for you and listen to your breathing. If you’re not gasping for air, and you can talk while you’re running, your pace is just right. Build up your running time slowly and surely. If you feel dizzy or experience chest pains, stop running immediately, gradually bringing your pace from a walk down to a stop until you feel better. If this is an on-going occurrence, then consult your doctor before you run again. The most common running injuries are lower limb injuries to the hip, knee and the ankle. Many of these injuries occur when runners are overtired or have over exerted themselves, so it is important not to overdo things too soon. Runners should consider having a gait assessment to make sure they get the best footwear before they start training, or talk to a Physiotherapist for advice. It is also important to get yourself assessed early if you feel you’ve hurt yourself. The sooner you deal with the problem, the sooner you can get back to training. Lastly, have fun! Running can be tiring but it should be enjoyable. So, do it with friends, dogs or even listen to music to help you! 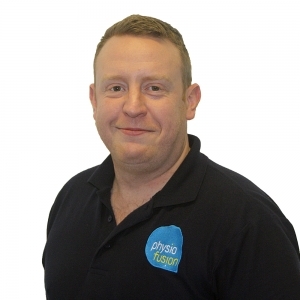 If you have any injuries/queries, or you would like to book treatment with one of our Physiotherapists, you can contact our head office on 01282 453 110 or use our FREE Ask-A-Physio service online and talk to the professionals themselves.